COSEE-CA is dedicated to creating environments in which collaborations among ocean scientists and K-12 educators flourish. 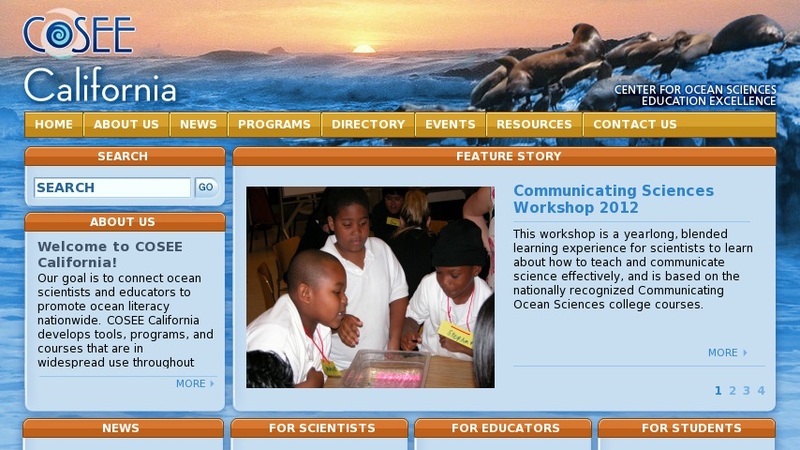 This site provides information on courses, ocean science careers, engaging scientists in educational outreach, and K-12 outreach initiatives. This site also links to the national COSEE website and other CA COSEE resources.